Many thanks for all these Views, FAVEs and Features too with over 2000 views! Thank you so much for this Feature and FAVE too! Nice capture! Lots of motion in this. Matt, A big thanks for the comment! CONGRATULATIONS! It is my great pleasure to FEATURE your magnificent artwork on the homepage of the Spirit of Los Angeles Artist Group, 2/05/2019! You are invited to post it in the Group's Features Discussion thread for posterity or any other thread that fits! 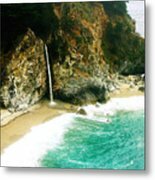 FEATURED in the Group WATER FORMS! How lucky for you to be able to get to see this. I'd love to see some people down on the beach to get a sense of just how mammoth the landscape really is. Too bad the foam at the shore was over -exposed. 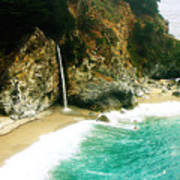 I love Big Sur!. I'm not sure where you were standing so I'll have to go again and figure that out. Thank you for this excellent snap. Wow, what a place, great shot! Excellent capture and composition. L/shared. Gorgeous capture of a stunning wilderness area, Jerome. 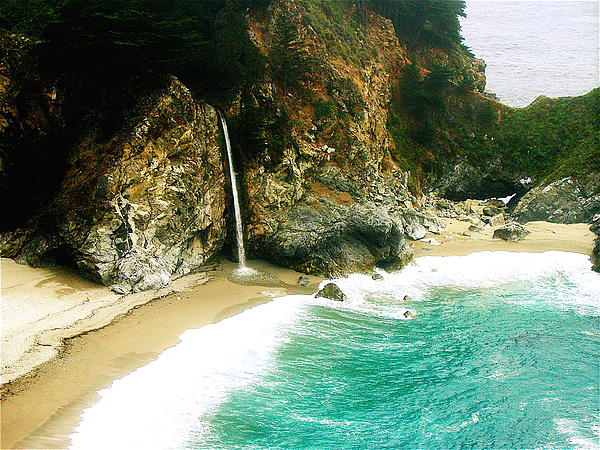 This stunning, breathtaking location is on the Big Sur coast of California. 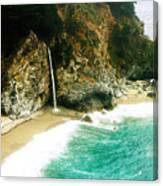 This is McWay falls (80 ft.) in Julia Pfeiffer Burns State Park. I know it looks too good to be real, but it is. I have taken several photos and plan to paint the scene. This art would fit many home and workplace decors and make a great gift! The Original being offered directly from the artist is a stretched canvas (16 x 20 x 1.5 inches), Signed and ready to hang for $120.